Blackwood, NJ– On Saturday April 21st, The South Jersey STEM & Innovation Partnership (SJSIP) hosted its first annual Internet of Things (IoT) Hackathon, based on the Cisco Hackathon Playbook framework, for high school students at Camden County College. Over the course of 12 hours, the one-day Hackathon event, nicknamed “Hack SJSIP,” brought together teams of high school students, supported by college student and industry mentors, and asked them to develop technological innovative solutions to real-life challenges of their choosing. Teams used the Cisco Hackathon Playbook framework to state and define a specific problem, create a solution concept, build a prototype, and refine that prototype into a final, presentable product. Students were then asked to “sell their ideas” in a “Shark Tank-style” presentation to a panel of judges. “If I didn’t have an opportunity for a business challenge with a positive impact for society… I wouldn’t be here today,” said Chuck Robbins, who serves as Chief Executive Officer of Cisco Systems, in reference to providing the Cisco Hackathon Playbook framework for the SJSIP Hackathon. 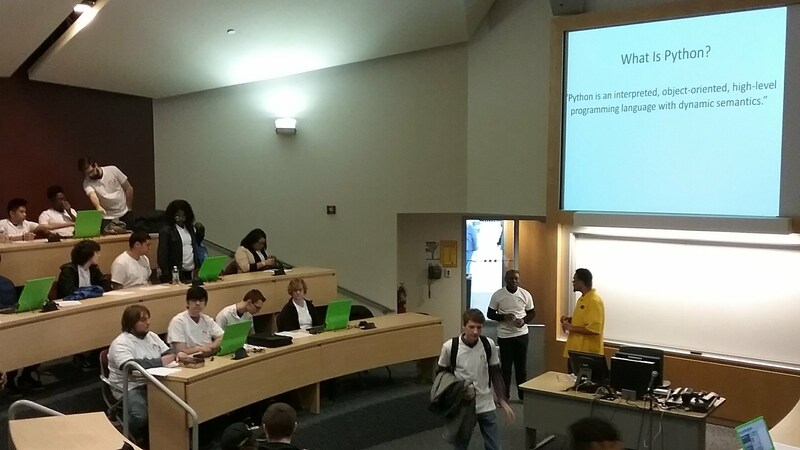 Along with providing a platform for students to compete and develop skills in computer science, computing and information technology, and engineering, the Hackathon allowed students to push the envelope in creative thinking, problem solving, entrepreneurial pitching, and hands-on learning. The IoT Hackathon was hosted by The South Jersey STEM & Innovation Partnership, a community of collaborative partners seeking to improve STEM (Science, Technology, Engineering and Mathematics) education and career pathways across southern New Jersey. The growing community includes collaborators representing industry, post-secondary education, K-12 schools, philanthropy, small businesses and STEM-rich organizations engaged under a common vision for STEM. The SJSIP leadership team includes representatives from Camden County College, the Camden Dream Center, Cumberland County College, Mindbytes, LLC and Salem Community College. The Camden County IoT Hackathon is one of two Hackathon events that are hosted by the South Jersey STEM & Innovation Partnership. The second Hackathon will be held at Salem Community College in the summer of 2018. The support for the two IoT Hackathon events has been generously provided by the New Jersey STEM Pathways Network via the Overdeck Family Foundation, as well as Koinonia Family Life, Camden County College, and Salem Community College. You can learn more about the Internet of Things Hackathon and The South Jersey STEM & Innovation Partnership by visiting www.southjerseysip.org.